Circus Tree, originally uploaded by jpeepz. This is one of Axel Erlandson´s "Circus trees". 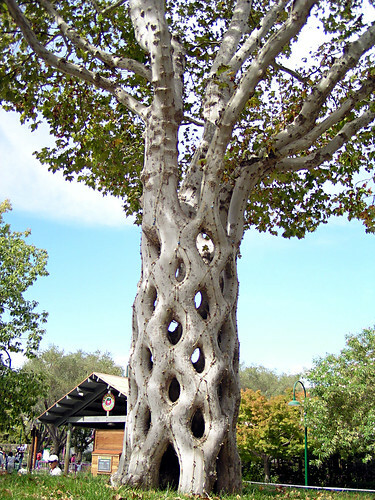 This "basket tree" was formed by grafting six Sycamore trees together in a diamond pattern. Check out the Wikipedia article to find out more about these unique trees!